Whether you're dragging yourself to the gym to fulfill your new year’s resolution, or a regular workout warrior – one thing is for sure, we all look like a hot mess after getting our sweat on. That’s why Fernando Salas, creator of White Sands Haircare, is sharing his expertise and giving us his top ways to go from the gym to work, a date or even just a lazy weekend at home without mangled locks. Spray a hairspray like White Sands Infinity ($22) to soak up extra oils and create lift at the roots. 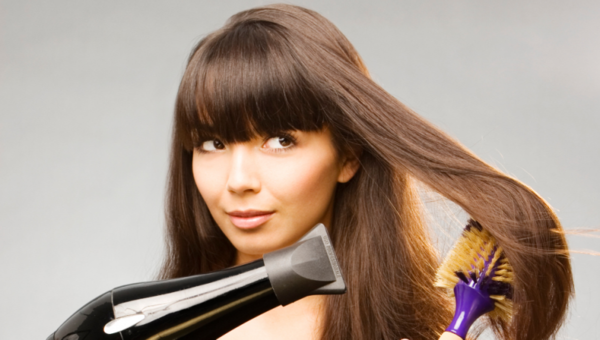 Quickly use your dryer and direct the heat only at your hairline to dry up the most visible, sweaty areas. Flip your head over and dry hair upside down. When you come back up, you will have volume while also refreshening tresses. Spray your brush with perfume and run through your hair to finish. Start by tousling hair with a texture spray like White Sands UnderCover Styling Spray ($21). 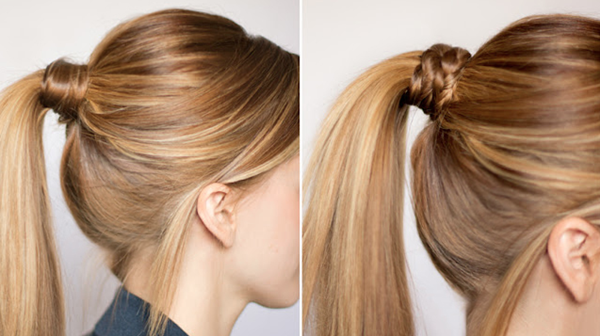 Loosely pull hair back into a low pony tail. Using bobby pins, pin a section of hair from the middle of the ponytail an inch or two above the hair tie. Then, use hair pins to pin the remaining lengths in place to complete the look. "Remember, it doesn't have to look perfect. The more creative and the more texture the better," explains Salas. "I've noticed that a beautiful classic ponytail is underutilized," says Salas. Using a light weight paste like White Sands Smudge Texture Crème ($16), smooth hair back into a shiny sleek, pony and secure in the middle of the head below the crown and above the nape. Wrap a small piece of hair around the band to dress it up and secure the ends with a bobby pin. There are so many different bun makers out there with various foam shapes to choose from. It has never been easier to make one in seconds. You can even cut the toe area off of a sock and roll the remaining part into a circular piece to use. In seconds you will have a clean polished style, that is still fun and flirty. Seal it with a shine spray like White Sands Porosity ($19.40) to disguise oily hair. No matter where life takes you, opting for a braided hairstyle can be the easiest way to get pretty hair without a lot of prep. 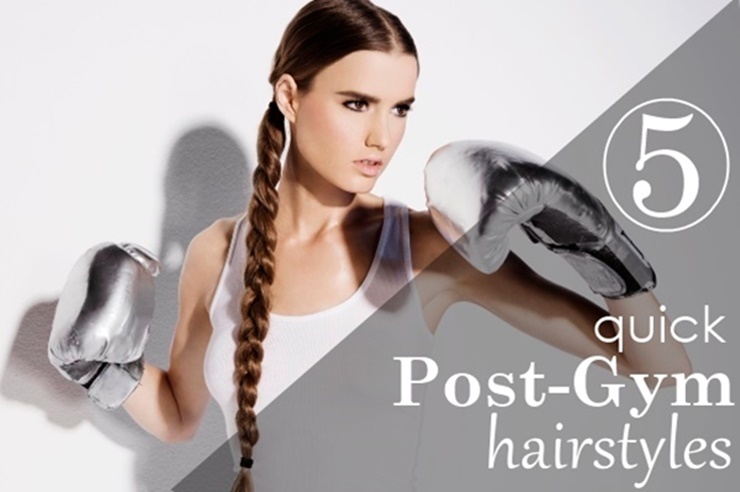 Wear your braid of choice while working out and let this style act as a curling iron. Once you are done at the gym, undo to reveal heatless waves perfect for a casual weekend.